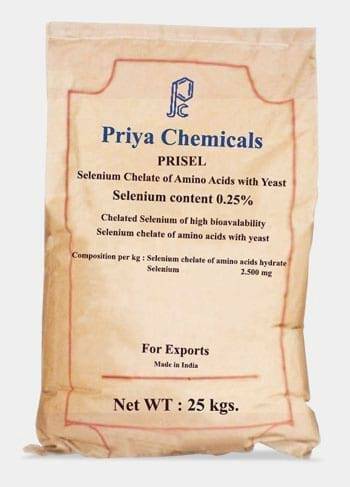 Selenium Enriched Yeast, Sacchromyces cerevisiae, natural source of Selenium. PRISEL improves the farrowing intervals in Sows for an early return to breeding. PRISEL also improves health and production in Poultry birds and chicks.